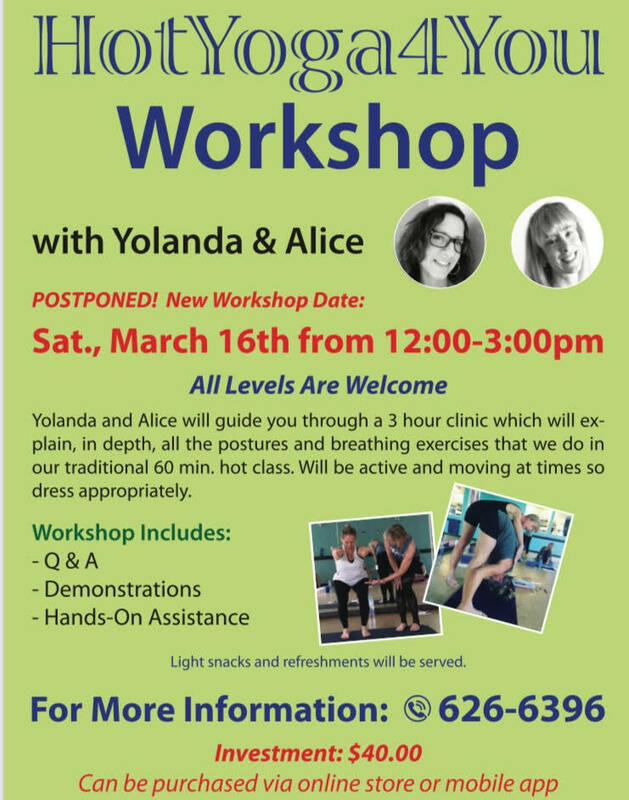 Yolanda and Alice will guide you through a 3 hour clinic which will explain, in depth, all the postures and breathing exercises that we do in our traditional 60 min. hot class. Will be active and moving at times so dress appropriately.